And to complement the throws ... cushions. 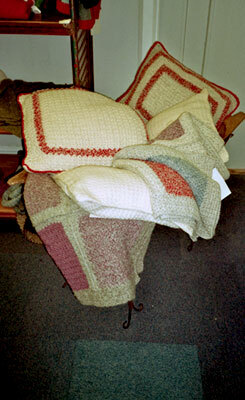 The cushions are all hand-crocheted using a variety of stitches. They are shown with individual, hand-crocheted throws.